Exclusive to Euronics and Agent stores, this cylinder vacuum cleaner from Miele comes in a mango red finish to brighten up any home. 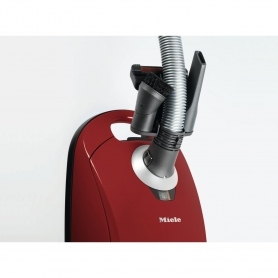 Ideal for pet owners, the compact Miele C1 features a Turbobrush head, perfect for pulling up hairs from your carpet. 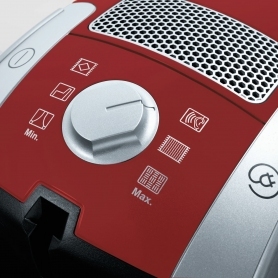 A 1200 W Powerline motor provides strong suction so you can clean quickly and thoroughly, while the AirClean filter combats stubborn home odours. This model’s six stage rotary dial allows you to adjust the suction power to suit your needs – get a more intense clean for tougher marks and use less energy for simple tasks. A cord rewind feature allows you to easily retract the Miele C1’s cable, so you can move from room to room more quickly. A 3.5 metre stretch hose and 5.5 metre cable also give you a nine metre cleaning radius. 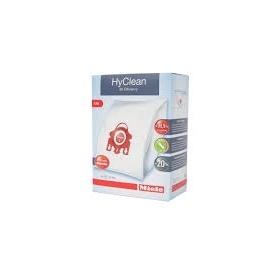 Save time and effort doing the household chores, without having to repeatedly unplug and plug in your vacuum cleaner. When you need to put the C1 away, take advantage of the Park-system for easy storage. Crevice Tool – This long, narrow attachment is perfect for difficult, hard-to-reach gaps. Upholstery Brush – Ideal for cleaning upholstery, mattresses, curtains and other soft furnishings, this tool has been designed to provide a gentle clean. Dusting Brush – Handy for a range of jobs, this brush’s high-quality bristles unsettle dust and debris for easier vacuuming. Shift dust fast with this robust brush tool. A stainless steel telescopic tube attachment is also included with this model, allowing you to clean up high and in ceiling corners with minimal effort. 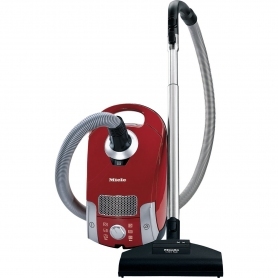 The Miele 10154910’s powerful motor offers great suction across a range of floor types. Order yours today.